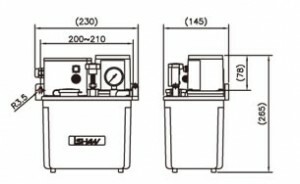 The float switch alarms and output signal when the oil level is low. The motor is of long-time operation. The pressure release device is included. 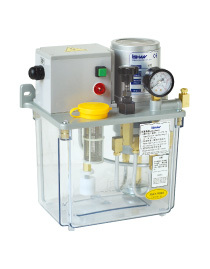 The power indicator displays the operation of the lubricator. “Feed” key can force the lubrication to function. (cooperate with PLC control system). Note： Because of continuous improvements, above specifications are subject to change without prior notice.